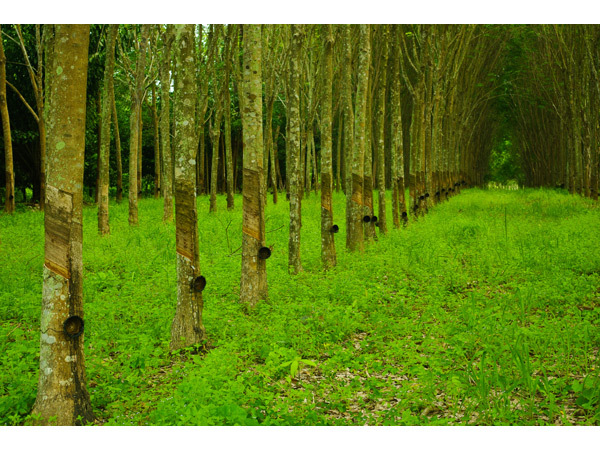 100% Natural Latex made from the sap of the rubber tree Hevea brasiliensis. No flame retardants or chemicals. Oeko-Tex certified 100% natural latex foam for upholstery. Note: Also available in GOLS certified Organic 100% natural latex – please contact Carla to request. IMPORTANT: The 6-inch thickness can be purchased intact or sliced horizontally to any combination of thicknesses adding up to 6-inches. If you need a different thickness combination than those available in the drop-down menu, you can specify any combination of custom thicknesses in the notes at checkout. Please be sure your thicknesses add up to 6 inches. For example: two pieces 1.25″ thick + one piece .5″ thick + one piece 3″ thick – adds up to a total of 6 inches. NOTE: Only one firmness is available for each 6-inch thick piece ordered of this item. A note about ‘standard’ upholstery foam: most upholsterers are accustomed to urethane foam, which usually comes in 24 x 84-inch sheets (at various thicknesses). If your upholsterer specifies a ‘sheet’ of foam, this 29.5 x 79.5 is the closest we have to that size. It is shorter in length, so be sure to note this distinction. Download our free measuring worksheet here and watch the video to see how to measure.